I use the free version of Calendly to schedule free consultations. I love it so far! If you don’t use it, I’d highly recommend it. 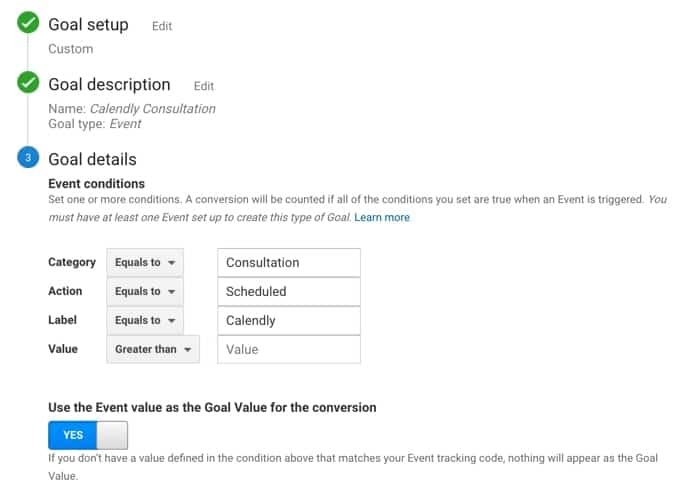 However, I have been struggling for a while because there hasn’t been a way to add Calendly appointments to Google Analytics as an event or goal. Today, I came across this zap on Zapier. This looked like an awesome way to accomplish my goal of getting my confirmed Calendly appointments into Google Analytics. But once I started, I was told that I need to be using the premium or paid version of Calendly. I’m down with that but at this point I don’t need the premium version, just yet. But an idea came to me. Each time someone schedules a free consultation with Pigzilla using Calendly, I receive a confirmation email. The Solution: You can create a zap that checks for those confirmation emails in your Gmail and sends any scheduled appointments to Google Analytics as an event. 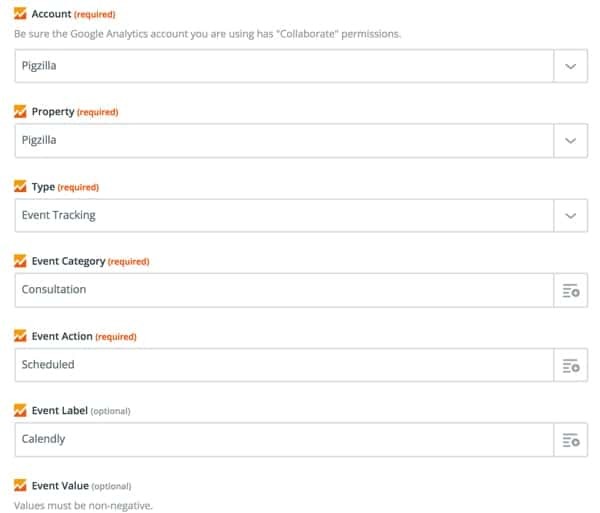 Then you can create a goal in Google Analytics. This is all for free! Now do you remember what you named your event in Calendly? Fill in the same category action, event and label you did in Zapier like so. 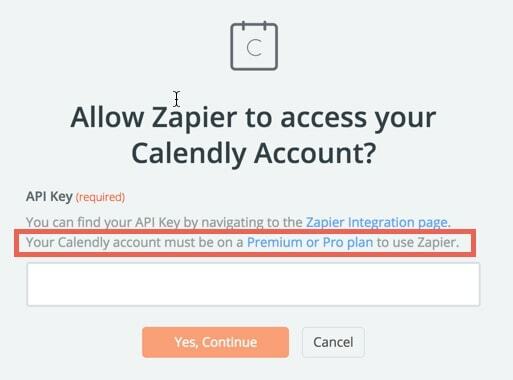 This is case sensitive so make sure to copy it exactly like you made it in Zapier. If everything worked as it should have, you should be done!